Merry Christmas, Happy Holidays and best wishes to you all. It has been just over a year since I ditched the grains, refined sugar, seed oils and processed food. A year of effortless weight loss, abundant energy, no carb cravings and boring everyone I talk to about the wonder of this way of eating! Over the past seven months I have documenting this through Paleo with cream. Thanks to you it has been pretty awesome. I started this as a way to put my new recipes in an easily accessible place for my scattered family. However, the original aim has now grown to include all the lovely people who take the time to drop by for a visit. I hope you are still enjoying the recipes and my rambles as there are plenty more to come in the future! Enjoy your festive, holiday season and eat with relish lots of lovely whole food. 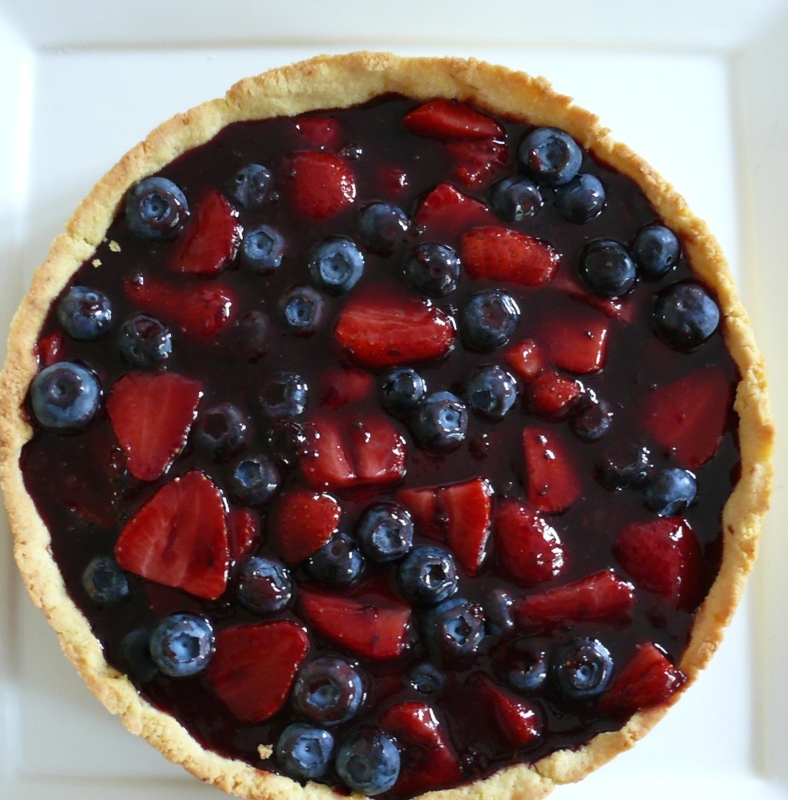 I leave you with a taste of what will be my next blog post; Strawberry and Blueberry Almond Tart with Creme Patisserie. A festive dessert that is not going to last too long on my Christmas lunch table today!